As I mentioned before, sometimes being a single lady means eating the same meal over and over and over again until all of the ingredients are gone. So if you have a couple leftover tilapia filets in your freezer, as Becca and I did, you make it work. 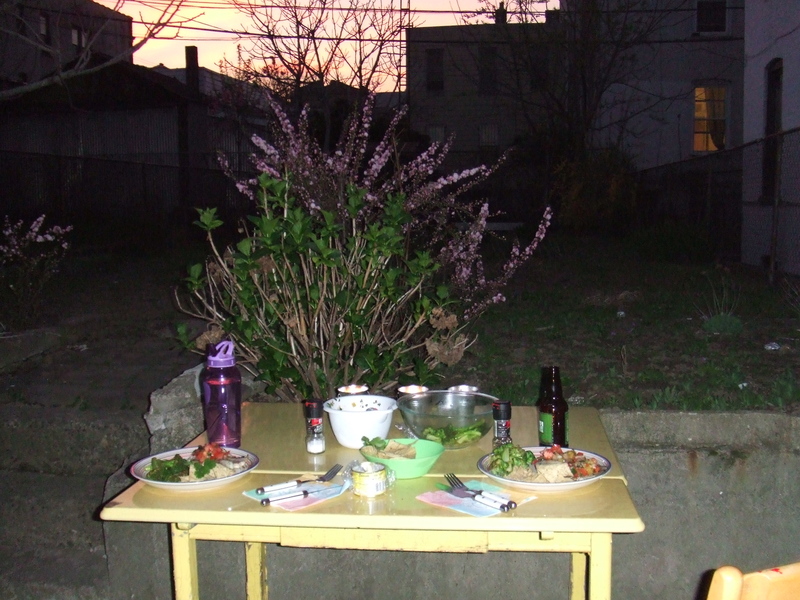 And if it is warm enough to eat outside, you grill. Brush filets with olive oil. Sprinkle with salt and pepper. 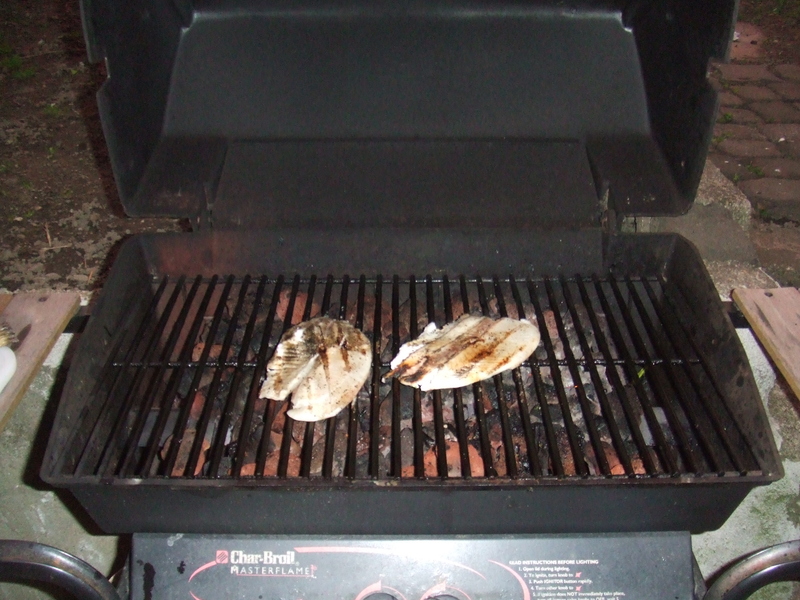 Grill on a gas grill (or a grill pan if weather, sadly, does not permit) over medium heat for 6 minutes on each side. If your filets are thicker than 1/2 an inch, you may need an extra 2 minutes on each side. Mix together all ingredients. Let sit for at least 2 hours before serving. 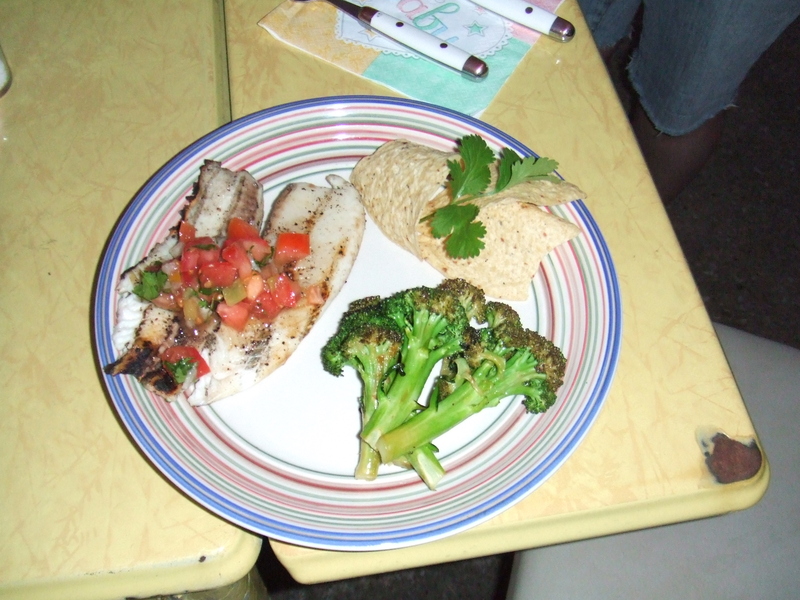 Plate tilapia filets and spoon pico de gallo over the top. NOTE: Can we talk about how healthy this meal is for a second? There isn’t a drop of heavy cream OR butter in it, and only 2 tiny little tablespoons of oil. Don’t worry. I ate a Little Debbie Oatmeal Cream Pie for dessert to negate all the vitamins and nutrients I obtained during the main course. Nutritional balance is the priority of my life.